Cats are good at hiding any type of illness, by being quiet and hiding, You may not be fully aware that something is wrong since cats can be experts at hiding pain or discomfort. By nature, cats are independent animals, however they still need to be examined by a veterinarian on at least a yearly basis. 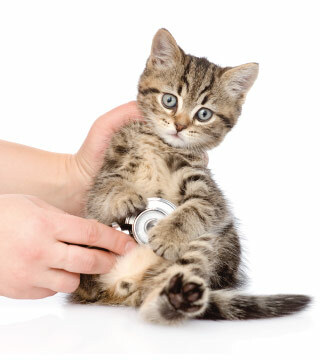 At Belton Veterinary Clinic we assess the body condition of the cat, and determine if he is the correct weight. A wellness exam also includes palpating the abdomen for organ size making sure that all is normal and checking for any lumps or bumps. We will also collect urine and blood samplesif necessary for yearly labs. Preventative care is extremely important, along with vaccines, parasite control and deworming.